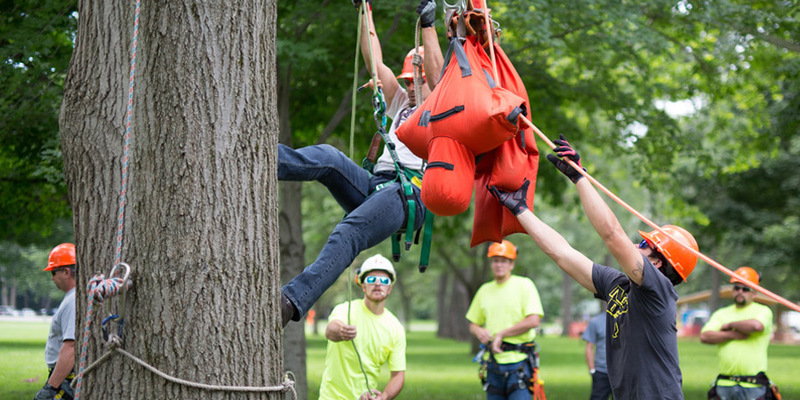 If your organization is looking for a way to provide your employees with on-the-job training, ACRT Arborist Training can help. We provide entry-level through advanced arborist classes and certifications for line clearance companies, government agencies, tree care companies, municipalities, and individuals around the nation. Let ACRT Arborist Training arm your crews with the right knowledge to perform their work safely, properly, and effectively. ACRT was founded on training and education. It was so important to our founders that it became the “T” in our name. We believe in sharing practical knowledge. We’re the experts—and we’re proud to extend that expertise to those who seek it. We offer training opportunities in areas where they are needed to help empower the people around us. ACRT Arborist Training provides a unique experience for individuals interested in advancing their careers. Our small class sizes and affordable pricing create a great value and learning environment. Rather than showcasing one sponsored brand, our trainers are showcasing a number of ropes, saddles, hardware, and saws so students are able to determine what they like working with best while they’re learning. Supplying students with the opportunity to try a number of available products is invaluable to their careers. Training courses are offered year-round at our Ohio headquarters. Small groups and individuals benefit the most from completing training at our home base, and will be able to complete hands-on training with a professional instructor. Contact us for the latest schedule. Learn more about the arborist training courses we offer and how you can register at our ACRT Arborist Training site.